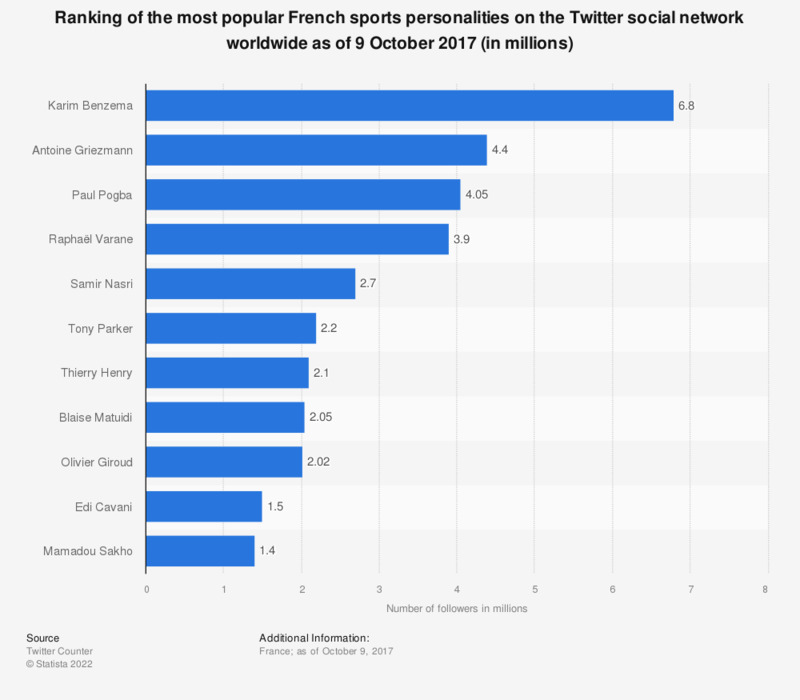 This statistic represents the ranking of the most influential French sports personalities on the Twitter social network according to their number of followers in the world as of October 9, 2017. It appears that Karim Benzema was the most followed sportsman on Twitter with nearly seven million followers. In second place, Antoine Griezmann (more than four million) was a French footballer particularly appreciated by Internet users that year. This ranking includes all the personalities of the French sport present in the "Top 100 Followers in France" of the Twitter Counter site. The data have been rounded.